Greetings Gauche-ites, how’s things? Julie here. 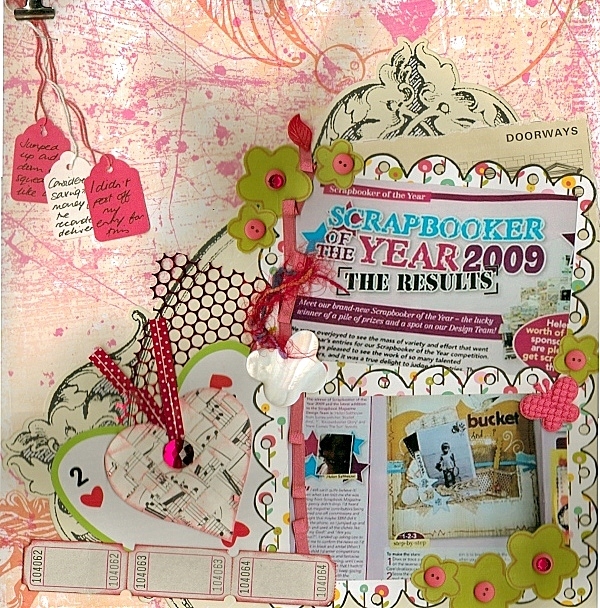 Way back in November 2008 I was one of the winners in the ‘Best of British Scrapbooking’ competition. At that time I was guest designing over here and following my win, Amy + Heather were sweet enough to ask me to do a little interview-type-thing about myself for the blog. [If you really want to know my answer to the question “If you were a piece of fruit what fruit would you be and why?” then you can still read it here!]. Now, back in the present day, here’s how I get to ‘pay it forward’….. In January, the UK mag ‘Scrapbook Magazine’ announced it’s ‘Scrapbooker of the Year’ along with 9 runners up. I discovered that [at least!] two of that talented bunch, overall winner Helen Salthouse and runner-up Sarah Piggott , were Gauche Alchemy blog readers so I wanted to give them a little winner’s party over here to celebrate their achievements and to share in some of their latest work. 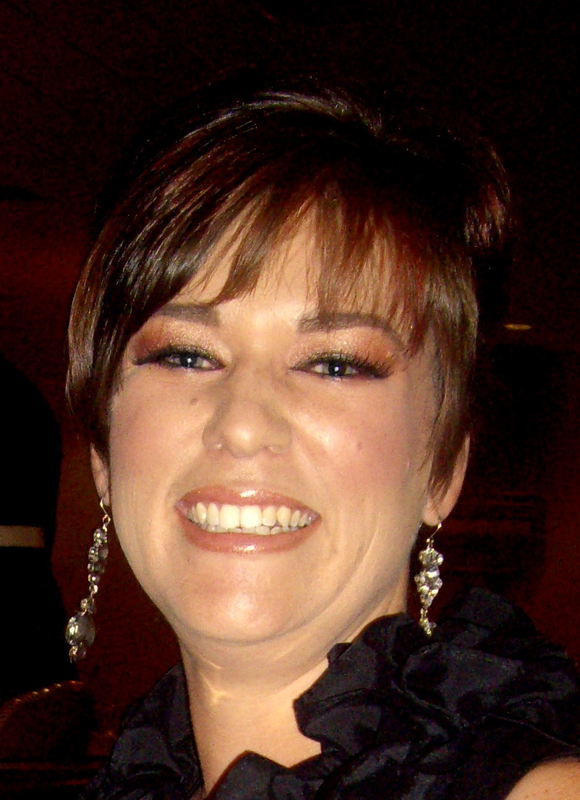 Helen: The best way to describe my life at the moment would be chaotic, unfortunately. I’m doing a Foundation Degree so that eventually I can be a teacher; it’s a long old process and I have to be working in a school while I do it, so at the moment I’m working four days a week plus studying. That won’t sound like a huge amount to some people, but I still have three children at home and finding a moment to scrap or clean (!) is difficult. Basically I’m slowly cracking up, but hoping to hang on till I actually finish the course! Sarah: I’m a full-time mum of two boys, aged 3 and 2, so my life pretty much revolves around toddler groups, nursery school and shopping.. occasionally I manage to find time for crafting : ) When I should be sleeping, I’m usually dreaming about scrapbooking or making some sort of living from my hobby. We are currently in the process of selling our house and relocating to the South Coast of England.. although I’ll miss my friends here in London, it’ll be fabulous to live by the sea and near our family. How did you feel when you heard you were a winner / runner-up? Helen: When I had the phone call telling me I had won Scrapbooker of the Year, I was surprised to say the least. I have vivid memories of entering competitions in comics and magazines when I was a child, where the prize would be a huge pile of something – clothes or toys usually. I never won anything, but was always convinced I would, and spent the time fantasising about this massive prize turning up on the doorstep. I don’t think the prize is meant to be the most exciting part of winning this particular competition……Anyway, like I said, the phone call came out of the blue and I jumped up and down and squealed ‘REALLY?? OH MY GOD!’ like a big girl. Needless to say I had a big grin on my face for a couple of days – and even my 18 year old was impressed! Sarah: I’d just been thinking about the competition that morning when I got the email saying I was a runner-up. I was really excited, naturally!The first person I told was my man, who suffers my scrapbooking obsession on a daily basis, so hopefully he felt better knowing that I’d actually got some recognition for it! Who was the first person you told when you found out you were a winner / runner-up? Helen: The first person I told was my man, who suffers my scrapbooking obsession on a daily basis, so hopefully he felt better knowing that I’d actually got some recognition for it! Has winning changed how you feel about your scrapping now? If so, how? Sarah: I think perhaps it’s made me put more pressure on myself to use varied techniques and products and to produce ‘good enough’, original layouts. Having said that, I was really happy with the three layouts I produced for my forthcoming article for Scrapbook Magazine. I used some GA colour kit sparkly bits which added the perfect finishing touch to my pages. Helen: It’s difficult to answer this one. I like using paint, and stitching, and layers. I like to alter stuff; I have problems using embellishments straight from the pack, no matter how much I like them. And I like to bring together papers from different manufacturers, in combinations that catch my eye. I spend ages rummaging through my paper drawers each time I start a page. I keep coming back to a description that someone left in a comment on my blog – ‘funky with a vintage twist’. I really love the sound of this, so I’m going to stick with it! Sarah: I find myself tending towards bold colours and patterns – I’m not too great at doing subtle or understated layouts. I struggle to do ‘clean and simple’ – I always have the urge to keep adding more ‘stuff’ til it could be better described as ‘messy and over-complicated’. 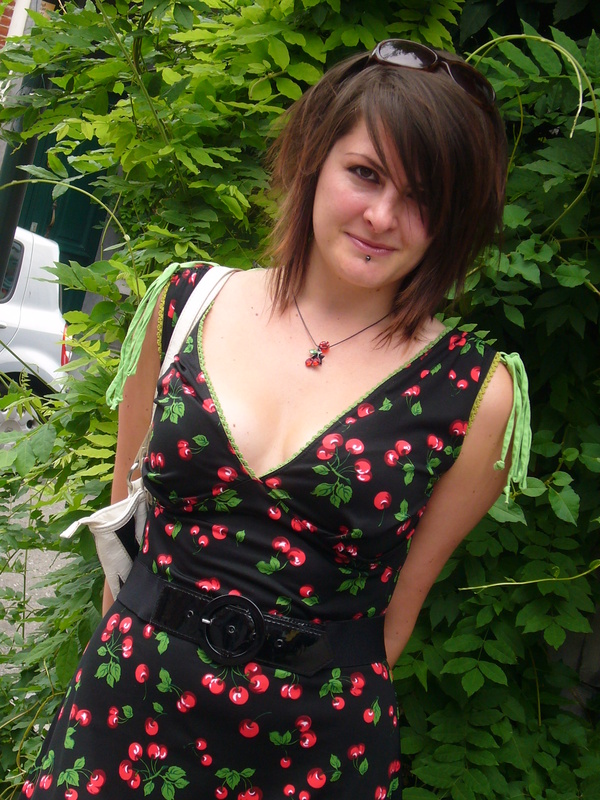 I don’t feel I have a definite style at the moment.. maybe one of these days it will emerge! Helen: Now, when it comes to doing funny or silly things, I’m incredibly boring. I have racked my brains in the past trying to think of something that would make a person laugh, but sadly there is nothing. The most irritating thing I do, on a regular basis, is to mark and cut patterned paper on the reverse side, only to turn over and find that I’ve included the manufacturer’s strip at the bottom. I try and remember to cut this off now, before I start playing. Oh, and I sent off a layout to a magazine, including my sketch in the box – except that it wasn’t the sketch at all, it was a random bit of stuff I’d downloaded and put in there by mistake. Oops. Thanks so much Helen and Sarah, for your great layouts and answers … and congratulations from everyone at Gauche Alchemy! 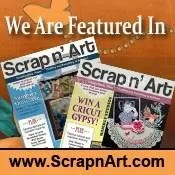 If you’d like to see more of their work see Helen’s ‘Little Birdy Scraps’ blog and Sarah’s blog ‘Paper Obsession’ . It’d be fabulous to know if we have any other Gauche-loving-prize-winners out there amongst you. I’m almost certain that there will be …. so do let us know! Oh, and speaking of winners … I’ll be drawing a random kit winner and choosing the winner of the ‘Black Mixed Media kit’ naming competition this Thursday, Feb 11, 09:00 GMT]. I’ll then let you know on Friday who won. If you haven’t already entered – just leave a comment on the competition post which you can find by clicking here. 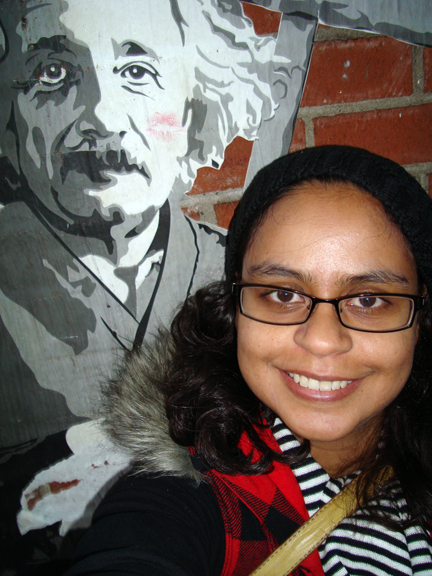 Thanks so much, Julie and Gauche Alchemy, for having me on the blog today!! It must be fate – our offer has just been accepted on a house in Eastbourne – so our dream relocation is becoming a reality.. a great day indeed!! Helen – your layout is FABULOUS – love it so much! Helen, I haven’t heard from you in like 6 months, now i know what you’ve been up to! !